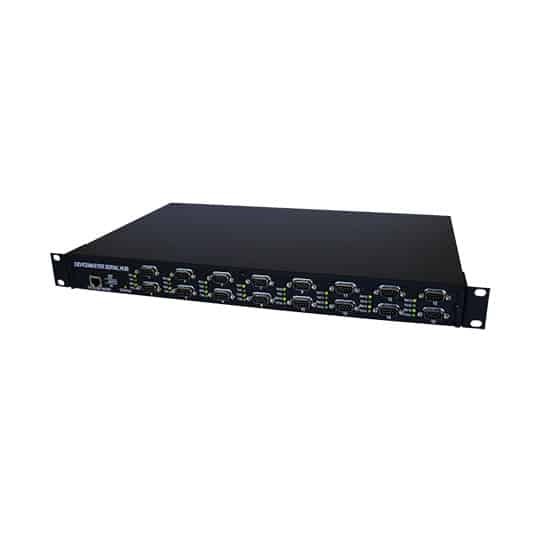 The Comtrol DeviceMaster Serial Hub 16-Port network enables up to 16 serial communications devices. When used with the included NS-Link™ driver software and a host PC, the DeviceMaster Serial Hub enables placement of COM or TTY ports anywhere on an Ethernet network or across the Internet. In applications where connecting legacy serial devices to a PC without software changes is a requirement, a pair of DeviceMaster Serial Hub units can be used to create a point-to-point serial tunnel across the network that seamlessly transfers serial data via TCP or UDP socket connections. 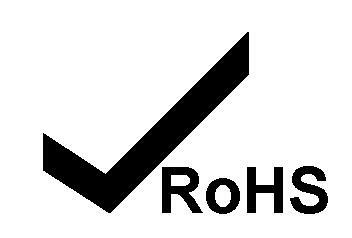 The product is fully compliant with the RoHS 2 Directive. Dimensions17.25" x 10.8" x 1.74"
ESD Surge ProtectionProvides minimum of 15KV for a duration of 1ns @ 200A. All Ethernet components are rated to 1.5KV magnetic surge protection in addition tothe surge protection levels specified. Comtrol offers a 30-Day satisfaction guarantee and a 5-year limited warranty on all DeviceMaster Serial Hub products!